On Tuesday, March 13th the Franklin Street Community Health Center partnered with Neighbor’s Link of Stamford to hold a Health Day. CHC of Stamford brought an array of medical staff and diagnostic equipment to Neighbor’s Link to break down the barriers to accessing medical care. CHC’s Mobile Dental unit had two dental chairs in use for the duration of the day. CHC also offered glucose testing, blood pressure screenings, and electronic vision testing. There were resource tables with literature on STD’s, nutrition, diabetes, hypertension, and applying for state health insurance. CHC medical staff were stationed at these tables to answer any questions participants might have. A CHC Behavioral Health clinician spent the day talking to participants about accessing behavioral health services at CHC. 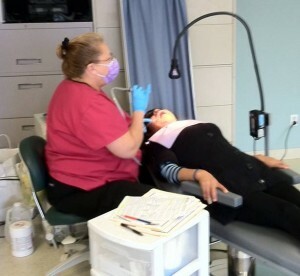 22 people received free dental cleanings. One person was found to have an active infection and was referred for treatment. A teenage boy asked the hygienist why his gums bleed when he brushes them. The hygienist taught him about good oral hygiene and gave him a mirror so he could watch as she cleaned his teeth. He was thrilled to see the difference at the end of his appointment. After completing electronic vision screenings, participants were helped to complete applications for an eyeglass assistance program through the Stamford Lion’s Club. Participants eagerly listen as a nutritionist prepares a healthy meal for under $3.00. 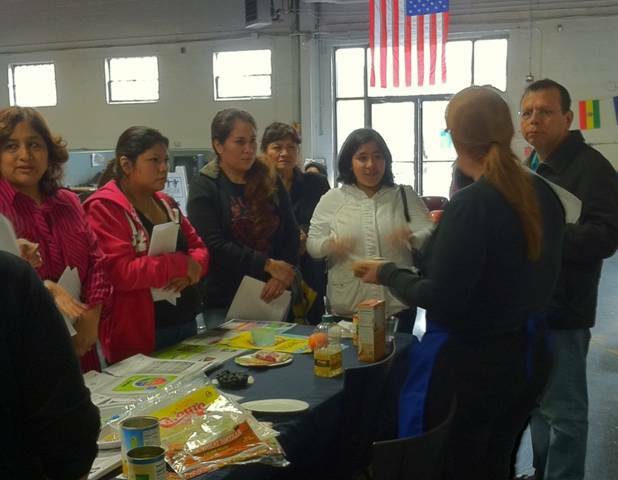 A lot of information was provided for fair attendees on nutrition education, including topics such as “My Plate,” how to prepare a healthy meal on a budget, how to read a nutrition label, and what is a serving size. Blood pressure screenings were given to all of the participants at the event. CHC staff provided world class health care with a world class smile! A huge thank you goes out to all CHC staff who participated in the event!